Early Bloomer. Purple to dark to purple spurred flowers on thin, wiry stems. Very toxic, kills livestock. Notes: Buttercup family. Larkspur are distinctive members of the buttercup (Ranunculus) family, the unusual shape of their petals make them easy to recognize. Nearly 30 species are native to California; most are difficult to tell apart. (More broadly, the USDA lists 73 Species and 106 accepted taxa overall.) 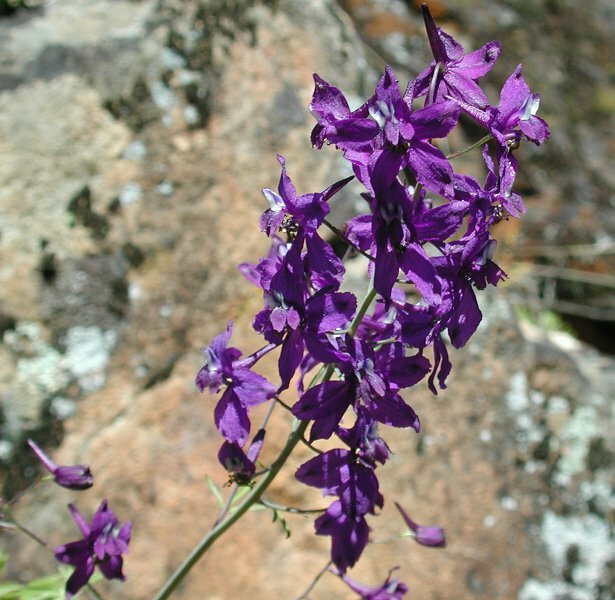 The name larkspur refers to the ‘spur’ formed by the upper sepal of the flower, which bears a likeness to a bird’s claw. 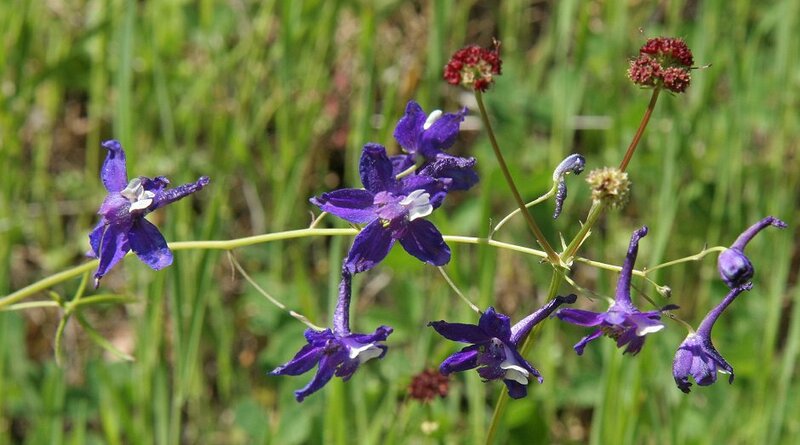 The Greeks thought it resembled a dolphin, hence the name Delphinium or ‘dolphin plant.' One story says that when when the Greek hero Ajax killed himself a flower sprang from his blood. The petals are said to have formed the letters AI, the first two letters in Ajax’s name in Greek (one species is denoted ajacis). It is second only locoweed in causing death of livestock. 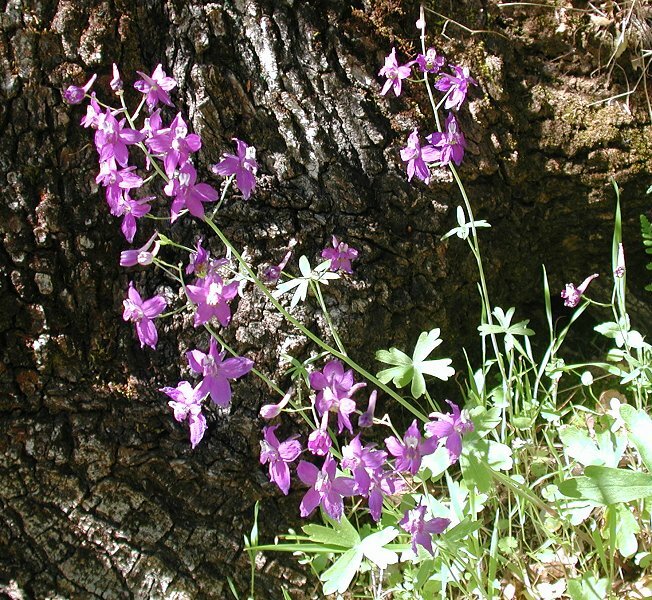 For centuries larkspur has served mankind as an agent that destroys human parasites such lice (and their eggs) and itch mites. It is still used by herbalists for this purpose.